I just realized I was bitten by something. It started as a simple bite and has now turned into a full-fledged outbreak…An infection and now it’s hit a “fevered pitch”. I’ve been bitten by the running bug. I’m certainly not a professional runner by any stretch of the imagination; in fact I’ve been known to stumble over my own two feet while walking to the mailbox, but I do enjoy races. For some reason races are much more appealing to me than running alone around my local neighborhood. I’ve run in several local races over the past 2 years, but I have to admit nothing compares to what I’ve experienced in a runDisney event. Like many of you, I am a little biased towards Disney and the theme parks, but continue through the page break and let’s take a look at what makes running through the Disney theme parks such a treat. If you are a runner you’ve probably competed in one or several of your hometown or regional races. You’ve may also competed in a runDisney event. You may be well aware of the differences between a runDisney race and a hometown race. What draws us to travel to Orlando to run a race? Why would we want to travel to the “happiest place on earth” to put our bodies through pain and misery? The idea of “fitness vacations” is starting to gain momentum across the country and Disney World may be the top travel destination for running and fitness junkies in the country. Case in point, runDisney’s official Facebook page has approximately 178,000 Likes. That’s a large number of followers for runDisney events. Let’s take a look at why the runDisney program has gained popularity over the years. runDisney maintains a rigorous line-up of races throughout the year, not only at Walt Disney World, but also out west at Disneyland. You can typically find a race that suits your running expertise in the winter, spring, or fall season. Typically, races are not run in the summer months because of the intense heat. As you’d expect Disney is all about theming an event. The races they plan are no exception. You’ll find races throughout the year themed towards characters, attractions, and even food. Some runners find it important to participate in a Disney race based on their favorite aspect of the theme parks or the time of year that suits their schedule. No matter what race you choose one of the most amazing aspects of any runDisney event is your time running through the theme parks. Whether it’s in the early morning just as the sun is rising or late at night with the lights on running passed the attractions or park icons with fans cheering you along the race course is simply something you can’t describe. If you’re a Disney theme park fan the thrill of running through the parks can be described as one of the most amazing experiences of your life. I won’t even try to explain it. Just know if you want to experience and feel something amazing make it a point to run through a Disney park (even if it’s a 5k). You’ll be smiling from ear to ear the entire way. Don’t expect the fun and excitement to stop while you run through the theme parks. As you continue along the race course Disney has you covered. You’ll find entertainment stops along the way that include recognizable Disney bands like the Jaminators, character meet & greets (don’t forget to take a picture), and even Cast Members from popular shows like the Festival of the Lion King dressed in their costumes. It’s not uncommon to have an entertainment stop every mile of your race. What’s really great about the entertainment along the race course is it provides you with the potential to slow down, stop for a photo, and catch your breath. It can also provide you with a needed adrenaline rush if you are starting to feel worn out. Running passed a cheering Disney character or hearing upbeat music can really help you move along the race course if you start feeling weak in the knees. Let’s not forget about the terrific pre-race entertainment and post race parties. You can usually find an electric atmosphere before the start of any runDisney event. While runners gather near the start line you can find a DJ spinning upbeat music to get everyone’s adrenaline pumping. Also available before the race are photo opportunities with Disney characters who usually have a themed backdrop right behind them. These make for great photo opportunities with friends and family who are running with you. Post race parties are usually included with your race entry fee. These hard-ticketed parties are in the theme parks after hours. Anyone can attend them provided you purchase a ticket before the party. It’s a great way to celebrate your finish with family and friends. The best part is the attractions are open. You can take a spin on Toy Story Midway Mania, Soarin, or most other theme park attractions. Some dining and very few shopping outlets are open as well. Entertainment is usually abundant with bands and DJs around the theme park. These parties can run into the wee hours of the morning (3:00AM) so make sure to be well rested so you can enjoy the post race festivities. Ranking right up there with running through the theme parks, the medals Disney distributes to race finishers are top-notch and probably better than any other you’ll receive at a non-Disney race. Besides their high quality Disney puts a lot of thought into the medal design. The design typically follows the theme of the race. For example, runDisney’s upcoming Tower of Terror 10-Mile race (Sold Out) will feature an awesome Tower of Terror medal. You can expect other great medal designs for each runDisney event; like a Tinker Bell themed medal for the Tinker Bell Half Marathon in Disneyland, or a great princess themed medal for the Princess Half Marathon in Walt Disney World. The Medal for the 2012 Tower of Terror 10-Mile race. Rumor has it that it will glow in the dark. If specific races reoccur each year you can expect runDisney to make changes and modifications to their medals as well. Although most medal designs will reflect the theme of the race you should anticipate a few minor or even, at times, major modifications each year. runDisney will release the medal design well in advance of your race to give you additional motivation and encouragement with your training. The medals and medal designs are so awesome I know some runners who participate in Disney races specifically for the medals. Yes, they are that good! If you can conquer the half marathon and full marathon you’ll have completed the Goofy and a half Challenge and earn an additional medal. I only have one complaint about the medals. Many runners consider a 5k a big accomplishment. Most runDisney 5k races include a rubber medallion to finishers who may be expecting a real medal. I’m sure many of you would pay the extra cost of a real medal for finishing your 5k race. I don’t see anything wrong with getting a smaller medal for finishing your 5k versus the rubber medallions typically distributed at the end of the 5k races. 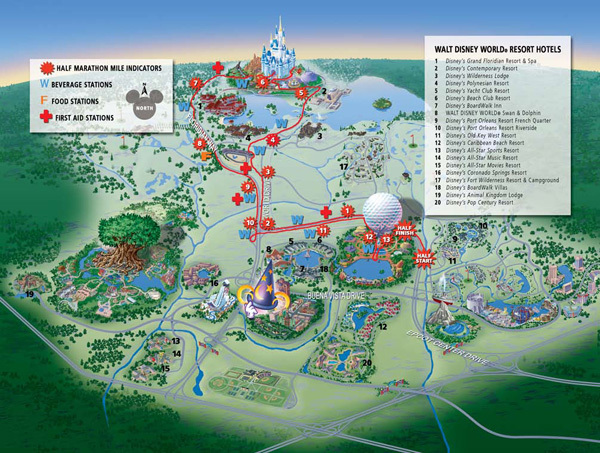 I hope runDisney considers making this change in the near future. As previously mentioned there are several races you can partake in either in your local community or nearby. These races tend to follow a process similar to runDisney’s events where you sign-up for the race, follow race updates, pick-up your race packet the day before the event at an expo, and compete in the race the next day. From a runner’s perspective those are the main components to most races we run. However, with runDisney these race activities are on a much grander scale. 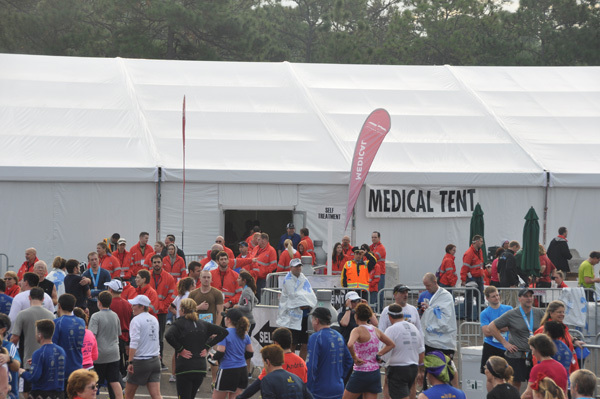 runDisney has a fantastic track record for making sure the pre-race activities are done very well. 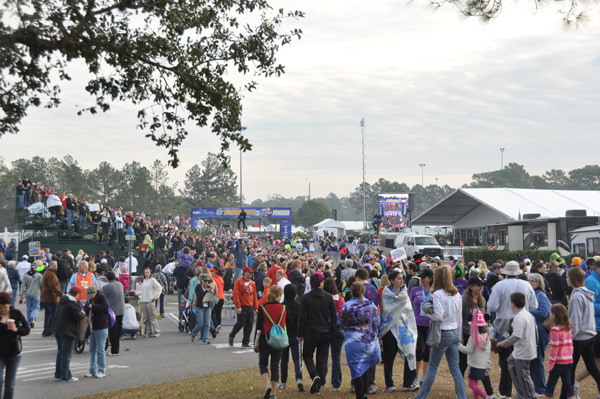 runDisney will keep you updated with race logistics like the course layout, race participation, medal design, and final race instructions days leading up to the event. Is runDisney perfect? No, they’ve made some errors in the past, but considering the size and participation of their races you can expect a few things to go wrong. I think most of us can agree one of the reasons we participate in runDisney events is because they do it right and better than most. 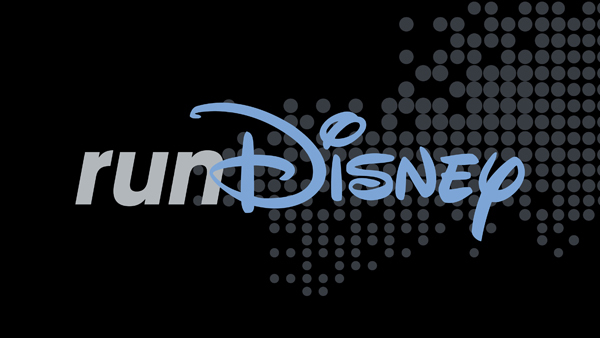 The runDisney brand hasn’t grown in popularity because of poor race planning and preparation. Its success is partly because of the race planning and preparation it provides to its fans. What you’ll find with most runDisney events are volunteers who are enthusiastic and behind your efforts 100%. I’ve been involved in enough local or community races to understand finding enough volunteers to cover a half or full marathon is tough. I often see race coordinators scrambling at the last minute before a race to acquire more volunteers. With runDisney this is simply not the case. Cast Members and even local residents are eager to volunteer and assist in a race. As you could imagine there’s a ton of work behind the scenes in these races from race packet assembly to handing out water and Gatorade, to post race activities. The level of volunteerism can make all the difference between a successful race or an average race experience. It’s a good idea to try and thank these volunteers every chance you get because they are usually not getting paid or compensated for their time. They are out on the course in the weather or spending time away from their family to ensure a positive race experience. With any large race event there are several reasons why it might be successful or unsuccessful. Anyone who sponsors or coordinates a large running event is taking on a huge risk because of the potential for dissatisfaction. It’s not easy pleasing a large field of runners. Granted, Disney’s running events are not cheap, but as the saying goes “You get what you pay for”. If you’ve experienced a runDisney event you probably understand why these races are on the expensive side. Do you enjoy runDisney races? 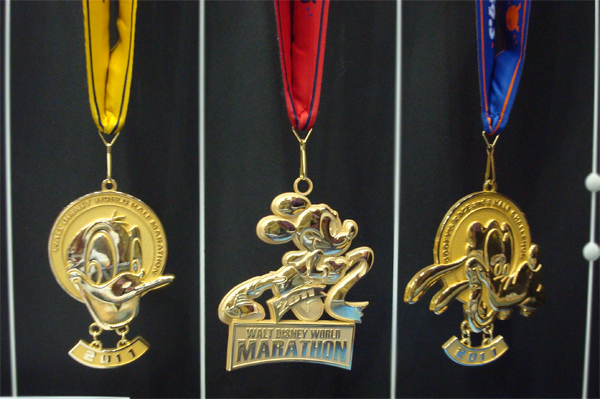 Are you a runDisney addict? What are some of the reasons why you love to run Disney races? Do you feel runDisney does a good job coordinating these races? Please leave your comments in the discussion forum below or on the DIS’s official Facebook page. If you’ve never participated in a runDisney race before you should really consider it. If you think you couldn’t run a race at all think again because you can do it. The hardest part to running any race is signing-up, committing yourself to the race, and showing-up at the start line. Trust me, one of the best feelings in your life will be when you cross the finish line in your first race no matter the distance. It is such a great feeling you’ll want to run more races, and who knows you may eventually get bitten by the running bug. 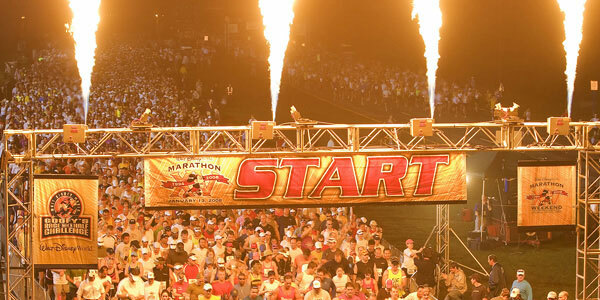 If you decide to sign-up runDisney has some great events to help feed your addiction.